The price of ether, the cryptocurrency of the ethereum network, fell below $400 on Thursday for the first time since November. 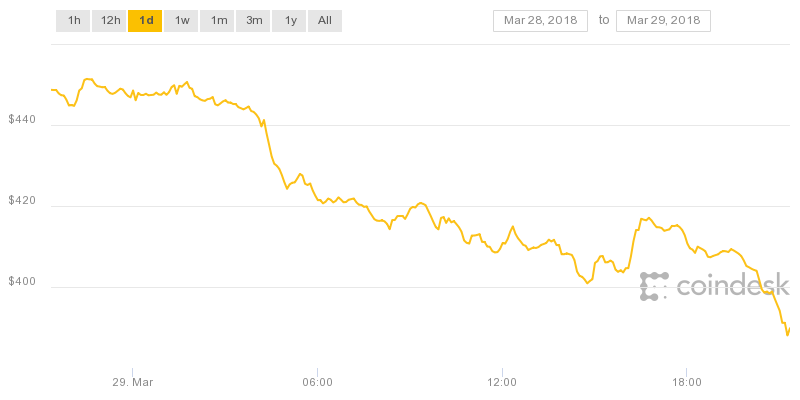 Ether hit a low of $387.85, according to CoinDesk data, and as of press time is trading at roughly $394. On GDAX, the cryptocurrency exchange operated by startup Coinbase, ETH is currently trading at around $392. 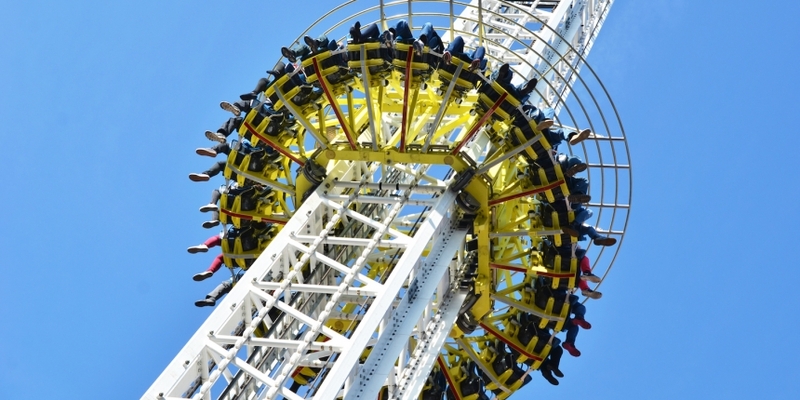 The cryptocurrency’s price hasn’t been below the $400 level since November 23, according to data from CoinMarketCap. At the time, the price had nearly reached an all-time high and would go on to surpass $1,200 as the broader cryptocurrency market shot to its peak. As previously reported, ether is one of several major cryptocurrencies to take a hit during Thursday’s trading session. Others in the top-10 cryptocurrencies by market capitalization, including bitcoin cash and Ripple’s XRP token, also hit lows for 2018. Ether isn’t the only cryptocurrency to see significant moves in today’s session. In the last hour, bitcoin’s price dropped to a low of $7,016.53, according to the Bitcoin Price Index (BPI), only to leap back to $7,165.26 as of press time.